<?xml:namespace prefix = st1 ns = "urn:schemas-microsoft-com:office:smarttags" />Tuesday, February 10, 2009. For those readers in in Africa, a word of advice from the get-go: enjoy your beer now and wear your mini-skirts often because such joys - if that is what they are to you - might not last long. Let me explain by introducing my new favourite pastor, Rev. Dr David Githii, head of the Presbyterian Church of East Africa (PCEA). He argues that Kenyan government buildings harbour many satanic symbols and that Kenya is a country reeling under ‘the great influence of devil worship’. Four years ago, he was quoted in the East African Standard saying that “the two snakes at the entrance to the Kenyan House of Parliament, the huge Masonic star at the entrance to the High Court, the frogs and tortoise signs in the High Court must be demolished.” Presumably because they are signs of the devil. Nor did his investigations into the insidious nature of Lucifer stop there. It turns out that Kenya’s national rallying call, Harambee, which means pulling together, is actually a religious invocation: Haree means hail, while Ambe is a Hindu Goddess (ahem, a mere 2 years ago, when in high school, we used to call parties harees, as in ‘we are off to haree at carni’. Little did we suspect that we were deep in the Gujarati). It came into usage in Kenya courtesy of the Indians who built the Kenya-Uganda railway and would chant the phrase as they toiled under the gaze of man-eating lions. Some of the symbols that have come under suspicion for promoting devilry and general evil include ‘a compass and square on the grilles at the entrance to St. Andrews Church, Masonic coffins on the church’s 30 windows and celestial globes on stairs leading to the main sanctuary.’ (See more here) Other symbols on the chopping board are the old church’s spiral which is a spear on top of a hut. This faction, perhaps unknowingly, is clutching to the legacy of the Overseas Presbytery of the Church of Scotland which for almost half a century (until 1956) run the affairs of the church and only relinquished direct control in 1975 when the first African senior minister was installed. The glass stained windows that are the subject of Rev. Githii’s righteous wrath are a tangible connection to the colonial ‘history’ of the church. The faction that supports their maintenance shall eventually lose because it is unknowingly in the path of a historical tsunami. In the past, I have argued that African Christianity is approaching an epochal break with its European roots. The separation of the moral domain of the Kenyan and of the European is the fundamental moment in decolonisation. It should not be a surprise that it is taking place within the church; an institution built on the possibility of transcendence much more so than any secular decolonisation idea. You are more than the sum of your parts in the church. In a moment you can be made whole: transformed from sinner to believer, from sickness to health and witness the dead brought to life. Whether this is true or not matters less than the extent to which it is believed. During the brief encounter between the peoples in Kenya with European colonialism, there were periodic attempts to spurn the ‘white man’s ways’. Whether it is the Mau Mau or Lukas Pkech, a young Pokot man who was a follower of Elija Masinde’s Dini of Msambwa and launched an armed rebellion against the British, religious belief has been ground zero in taking on the European yoke which crucially has been based far more on notions of moral superiority than on the Maxim gun. The Rev. Githii’s of the world are going much further than Pkech who said ‘don’t listen to this man, he is our enemy. Haven’t we a god? We pray to you Jehovah. Who is Jesus? The wazungu say he is god but how could he be if he died?’ (quoted in Bethwell Ogot’s amazing essay in Mau Mau and Nationhood) Today’s rebels are not merely dissenting against colonialism, which is history anyway, they are remaking a moral house from the foundation up. This necessitates that they strive against the latest notion of European moral superiority: secular humanism. And they are taking this fight to the heart of the enemy. In 2003, his counterpart in the Anglican Church, Bishop Simon Oketch, was almost beaten up by two Church of England colleagues on a London street. He had infuriated them over his uncompromising opposition to the appointment of the gay American pastor, Rev. Gene Kelly, as Bishop of New Hampshire. 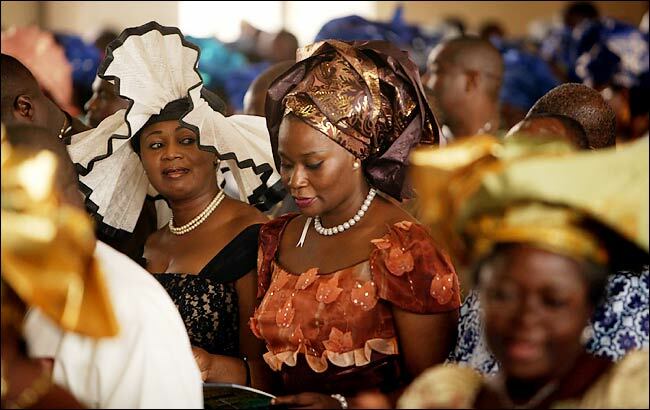 The Nigerian Anglicans, the largest congregation in that church followed suit by breaking longstanding links with the mother church in a rejection of its prerogative over them. Homosexuality is only the lightening rod. All manner of progressive civil freedoms will come under attack, most focusing on gender roles and sexuality. This is a message that is gaining resonance in Africa where the church is growing faster than almost any other part of the world outside Mongolia. The explosions of sectarian violence worldwide leaving people in need of belonging and security; the march of democracy, which will reduce the power of the authorities to call the tune; and the proliferation of the means of communication will all combine to shrink the secular space and enlarge that of the believer. The nation, throughout all the countries in Christendom, has been erected on the foundations of the church. It will be no different in Kenya. That Rev. Githii is willing to take aim at a national symbol such as Harambee is proof that his campaign shall not be limited to dissing the western church. Rather than participate in direct politics, the Kenyan church shall eventually absorb politics into the moral space that it is busy carving. Its strictures on the private will be so much stronger than the ideas that maintain the public sphere, creating an immense pressure - and possibly even violence aimed at unbelievers or the immoral etc. What now only seems to be a campaign for souls will eventually colonise increasingly larger parts of the public sphere. The fact that the ‘centre’ - the collection of individuals and institutions that define national power - is so ideologically feeble and so dependent on western aid and political ideas will only hasten this process. Like Archbishop Rowan Williams who could only look on in helplessness and surrender as the Nigerians and Kenyans threatened to tear the Anglican Church to pieces over the issue of homosexuality, the Kenyan ruling classes will come to mime the moral positions advocated by the most popular of the churches. I say enjoy your beers and mini skirts for the moment because they may not be with you in similar form for very long. Already, sectors of the government are taking a harsher line on drinking and other ’sin’ products all in the name of public safety and health. But it will soon become noticeable that as bars begin to close ever earlier, churches will stay open later. In time, this trend will probably make for an intolerant and constricted social space, but one that will for the first time create the basis of a politics connected to the moral lives of a majority. Through fire and brimstone, laws and regulations that reduce all manner of secular freedoms - that I for one enjoy - a nation shall begin to take shape. Or at least that is what I hope. MMK wrote this piece in 2005. He is a writer and academic. He blogs at African Bullets and Honey.